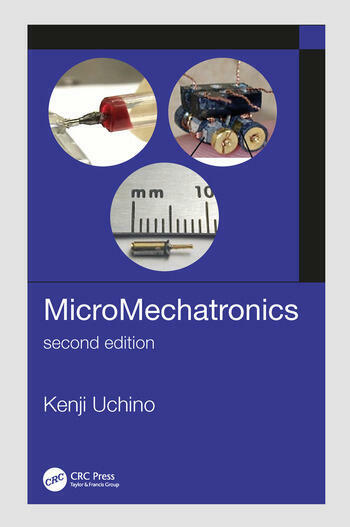 (micro-electro-mechanical-system) or even NEMS (nano-electro-mechanicalsystem) to describe mainly thin film sensor/actuator devices, a narrower area of micromechatronics coverage. New technologies, product developments and commercialization are providing the necessity of this major revision. In particular, the progresses in high power transducers, loss mechanisms in smart materials, energy harvesting and computer simulations are significant. New technologies, product developments and commercialization helped shape the updated contents of this book where all chapters have been updated and revised. About the Author. Preface. 1. Current Trends for Actuators and Micromechatronics. 2. A Theoretical Description of Piezoelectricity. 3. Actuator Materials. 4. Ceramic Fabrication Methods and Actuator Structures. 5. Drive/Control Techniques for Piezoelectric Actuators. 6. Computer Simulation of Piezoelectric Devices. 7. Piezoelectric Energy Harvesting Systems. 8. Servo Displacement Transducer Applications. 9. Pulse Drive Motor Applications. 10. Ultrasonic Motor Applications. 11. The Future of Solid State Actuators in Micromechatronic Systems. Chapter Essentials. Check Point. Chapter Problems. References. Index. Kenji Uchino, a pioneer in piezoelectric actuators, is the Founding Director of the International Center for Actuators and Transducers (ICAT) and Professor of Electrical Engineering and Materials Science & Engineering at the Pennsylvania State University. He was Associate Director (‘Navy Ambassador to Japan’) at The US Office of Naval Research – Global Tokyo Office as IPA from 2010 till 2014. He was also the Founder and Senior Vice President & CTO of Micromechatronics Inc., State College, PA.